Children are separated into ATOMS : 6-8 years and MOLECULES 9-11 years but will be in the same room together. If siblings, cousins or friends want to be in a group together, just tell us in the morning 🙂 Some Examples of our activities this Easter will include: EGG speriments ! Floating egg, egg smashing, egg physics,walking on eggs! Egg engineering . Slime making ; slime suits & punch the slime! (Long-chain polymerisation, Newtonian & Non-Newtonian fluids) Giant Smoke cannons (Force, Vectors) Van Der Graff generator & plasma ball madness! (electricity ) Coke & Mentos Geyser (force and nucleation) Elephant Toothpaste:Bubbling foaming potion ! (Hydrogen peroxide, Potassium Iodide chemical reaction) Fossils; make your own fossil. 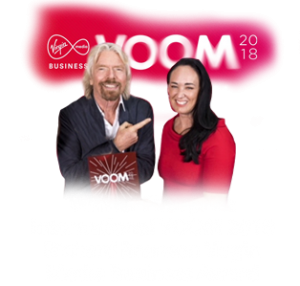 Illusions;How movies are made and how the eye tricks the brain Forensics;Crime scene science , fingerprints & DNA and much much more….. Bring a snack and packed lunch! Wear old clothes. Our Science camps are very hands-on and children get to make and take home something most days including their own SLIME, FOSSILS, MODEL GLIDERS, RAINBOW GLASSES and MORE! They wear Lab coats and goggles! LOTS of OUTDOOR Fun with Bug Hunts, Rocket Races, Dinosaur Digs! 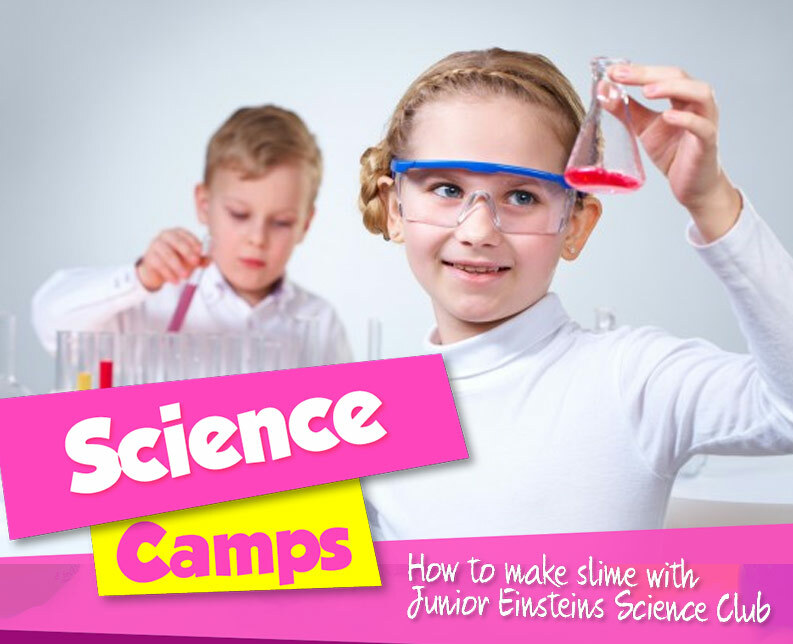 SCIENCE CAMP FUN: Slime making (Long-chain polymerisation, Newtonian & Non-Newtonian fluids) Smoke cannons (Force, Vectors) Model planes (the principals of flight) & rockets Van Der Graff generator & plasma ball madness! (electricity) Coke & Mentos Geyser (force and nucleation) bridge building ( engineering) Magnets & make your own compass Lava lamps Forensic crime scene, fingerprinting and DNA Sunscreen /UV /glow in the dark science Elephant Toothpaste (Hydrogen peroxide, Potassium Iodide chemical reaction) Illusions ( How the eye tricks the brain) and much much more…….. We are scientists ,fully insured and Garda checked. What to bring: Old clothes – lab coats are provided however science can be dirty work. Packed lunch, snack and drink Rain gear Sun hat and sunscreen. Our Halloween Camps will be running in October 2019 – more details will become available soon! LOTS of OUTDOOR Fun with Bug Hunts, Rocket Races and Dinosaur Digs! 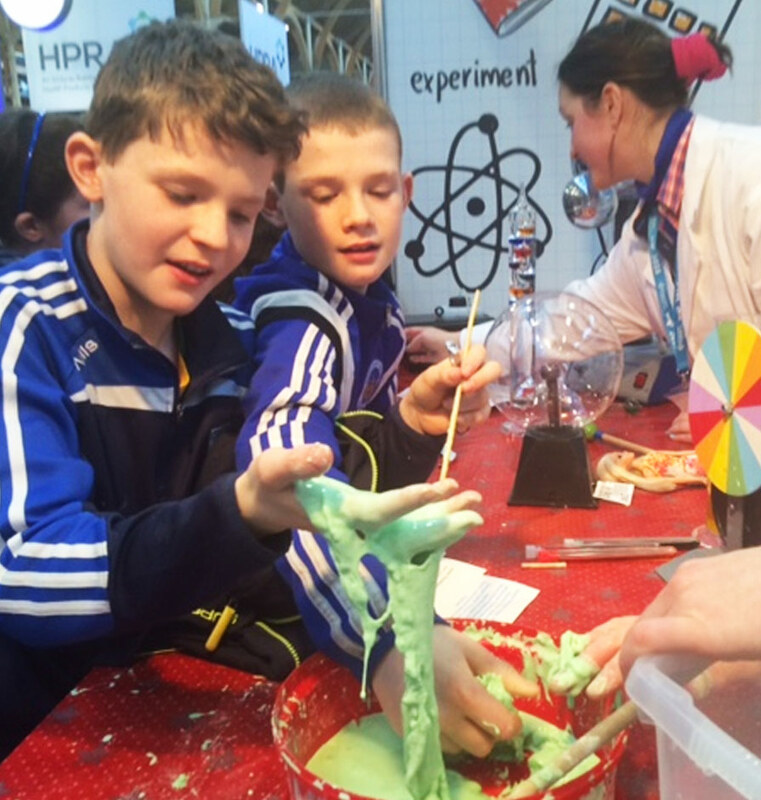 We are scientists ,fully insured and Garda checked. What to bring: Old clothes – lab coats are provided however science can be dirty work. Packed lunch, snack and drink Rain gear Sun hat and sunscreen. 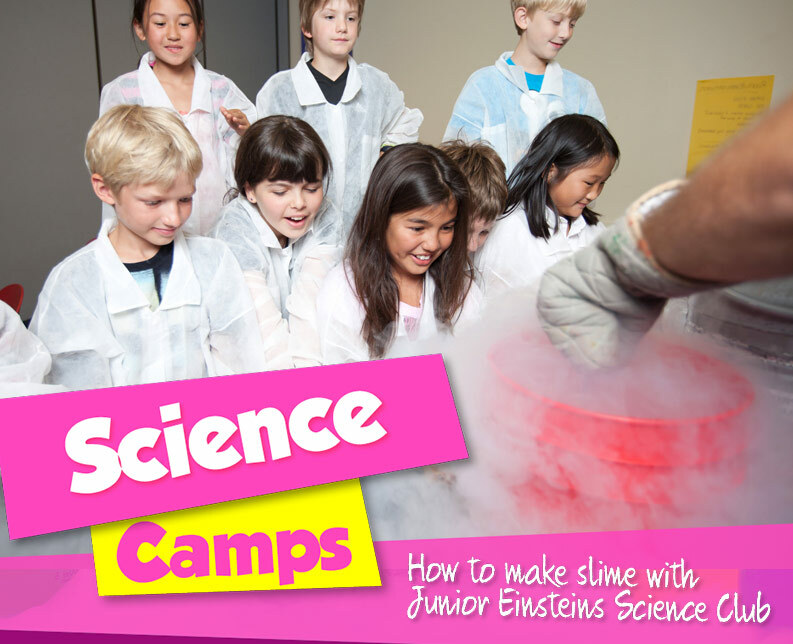 Our Junior Einsteins Science Club SUMMER CAMPS are WEEK LONG in various locations. They run from Monday to Friday 9am – 2pm and are for ages 6-11 years. 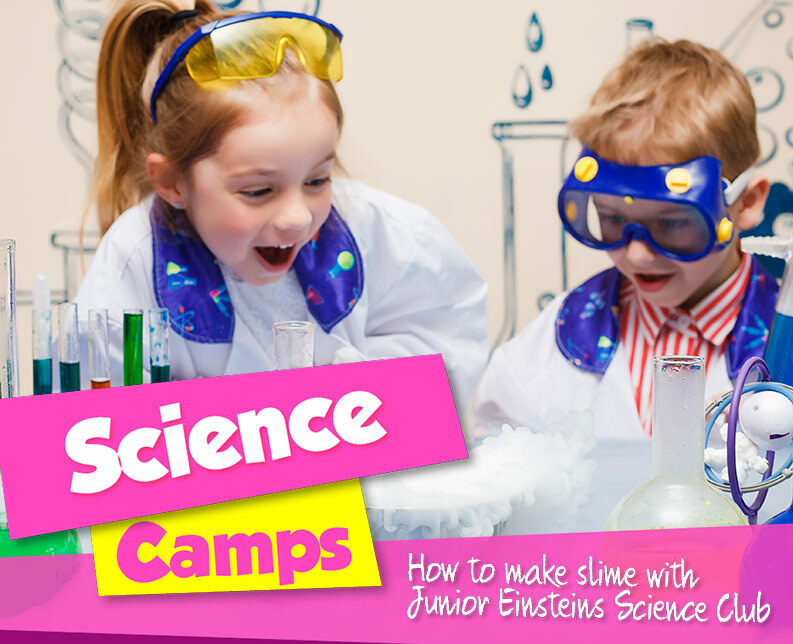 The cost for each Science Camp is €145. Children are separated into ATOMS : 6-8 years and MOLECULES 9-11 years but will be in the same room together. If siblings, cousins or friends want to be in a group together, just tell us in the morning. Our Science camps are very hands-on and children get to make and take home something most days including their own SLIME, FOSSILS, MODEL GLIDERS, RAINBOW GLASSES and MORE! They wear Lab coats and goggles! Please book early to avoid disappointment as our camps are very popular! This camp may well have changed my daughter’s life. She came for the slime – very reluctantly. Each day she became more and more enthusiastic. So our 9 year old who would normally have limited interest in this type of thing was entirely gripped. By dinner on Friday evening she regaled us with facts about tectonic plates, how Greenland was formed, lightning, bees, oil spills, explosions… for about an hour. Every detail was correct, some we didn’t even know. Since then she’s been asking are there secondary schools where you can just study science, all about careers in science, what you can study in university, how much you get paid!… She’s even planning to dress up as a dead scientist for Hallowe’en! In one week you have communicated the fun and endless fascination of science in a way that had just clicked for this little girl. Thank you so much!